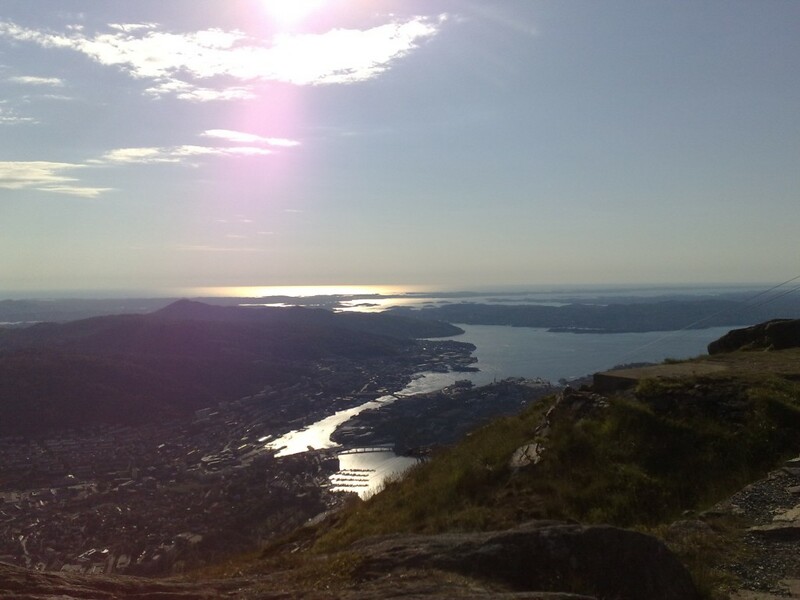 Its been too long since I visited Ulriken, one of our 7 mountains surrounding my city. Yesterday we had awesome weather, a bit misty but it was time to visit the mountain again. 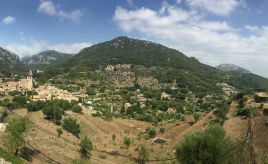 The Area cableway was recently re-openend after a long period of maintainance – now it welcomes tourists to visit a great place with a lovely view. Way below you can see the stadium of our local football team Brann. 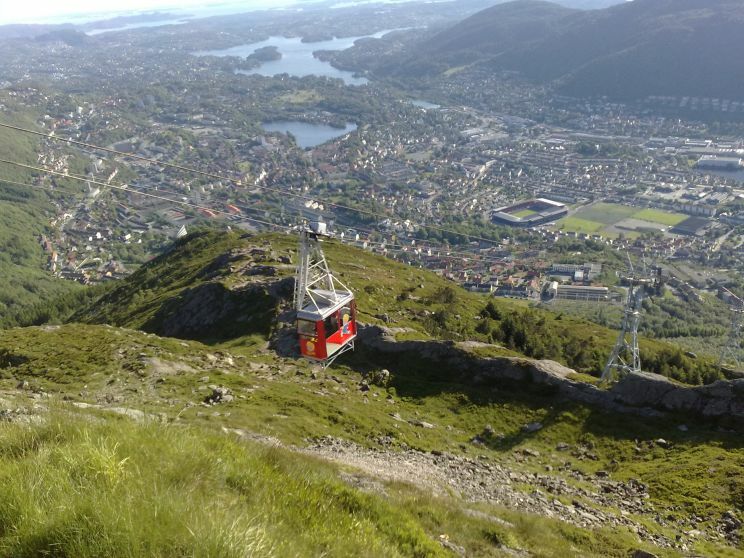 On 643 meters you are the king of the world, in Bergen. 27 degrees celcius, the summer is here. 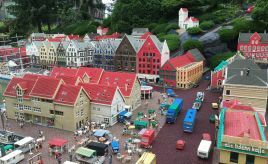 Its fun to see tourists enjoying the visit, and its fun to be a tourist in your own town. The other side, snowcovered mountains in the distance. Takk for fin post om Bergen! 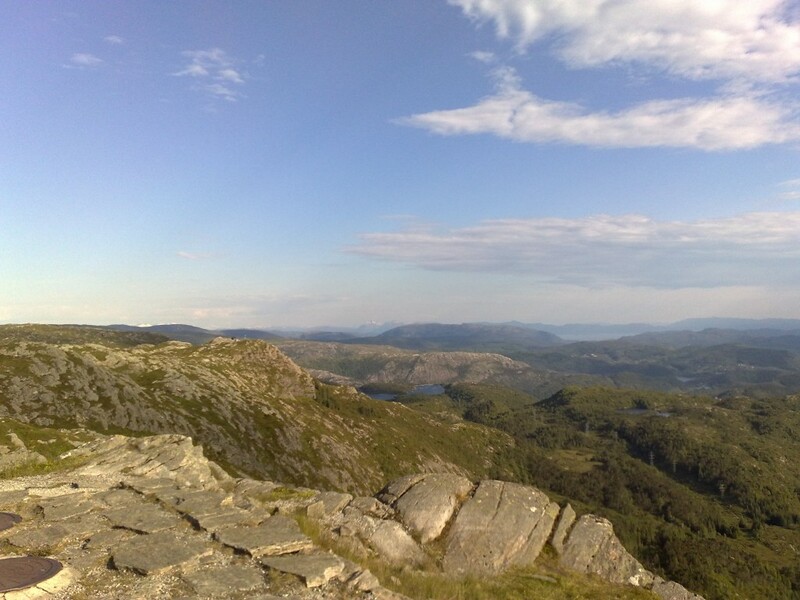 Sommerlige og deilige bilder til Sky Watch! Such romantic scenery! The 3rd shot, in particular, is glorious! 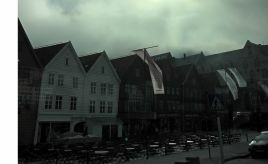 Flott serie fra Ulriken og verdens vakreste by! Gjetter at det ble en veldig fin og varm tur. I like how you included the town, sky and mountains in the photograph. Nice job! What spectacular views and excellent landscape photography. 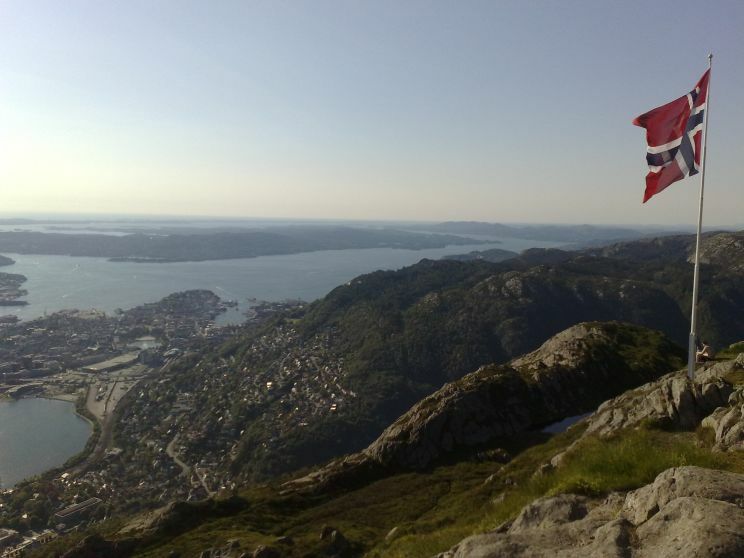 Så flotte bilder. Lengter opp til ulriken når jeg ser dem. 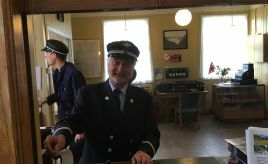 .-= Festus og Lillepus´s last blog ..stressdempende minimalistisk retro =-.